Many of the orchards in Chelan valley are a family affair, with women playing a critical role in running smooth operations and growing the business. In our blog series “Women in Agriculture” we sit down with them to discuss their roles and thoughts on the industry. 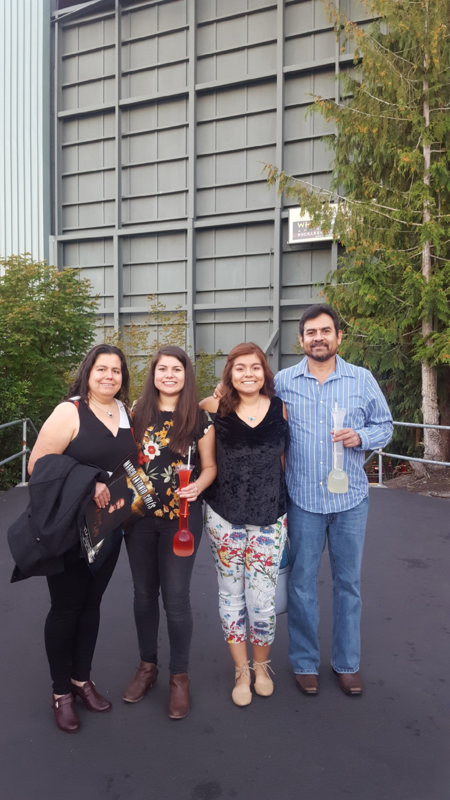 This month we checked in with Reyna Flores, at Chelan Fruit in Chelan. Chelan Fresh (CF): Hello Reyna and thank you for taking time out of your busy day to speak with us. Can you please tell us a bit about your role at Chelan Fruit? Reyna Flores (RF): Of course! I am a supervisor at Chelan Fruit, where I have been working since 1988. First I worked for Trout Blue Chelan, then Chelan Fruit. I have been here through all of the mergers! CF: Do you think you’ll stay with the company until you decide to retire? RF: Yes, that’s the plan! CF: Can you describe your current job and responsibilities? RF: As a supervisor, I take care of our crew of employees, the production process, as well as the growers. I make sure everything is running the way it is supposed to and the grade of the fruit is up to the correct standards. CF: What were your previous jobs at Chelan Fruit? RF: Before I became a supervisor, my first job was packing pears. Then I was sorting and checking fruit grades and filling the bins, that sort of thing. CF: What is your favorite part of the job? RF: I really love working with people. I have a small year-round crew of about 12, but the team grows up to 150 people during peak season. CF: How long have you been here in Chelan? RF: I moved from Mexico to Chelan back in the 1980’s and have been here ever since. When I moved here I was teenager and didn’t know any English at all. That is why my English is not very good. CF: What? You are doing very well with your English! Do you have a family here in Chelan now? RF: Yes, I have three children: two daughters and a son. My daughters have already graduated from college and my youngest is just out of high school here in Chelan. CF: Do you think they will stay in Chelan and go into the agriculture business as well? RF: I would like them to come back here someday, but not right away. One of my daughters graduated with a Public Health degree and will be pursuing that as a career in the Seattle area. CF: So, you were working the whole time you were raising your children, that must have been a great inspiration to your children. RF: My children say they are very proud of me. When I arrived here in the Chelan I had no education and did not speak English. I have since worked my way up to a supervisory position, learned how to speak English and gone to night school to complete my GED! When my oldest daughter was in Miss Lake Chelan in 2003, she told the story of my life on stage as part of her talent competition. She said how important it is for my generation to be an example to our children, to show them how to be better and make a better life for our families and to always do our best. It makes me happy that they are so proud of me. CF: Thank you Reyna for sharing your story with us! Enjoy the fall. RY: It’s my pleasure, you are very welcome.